Get lustrous hair and revitalized skin with Dr. Vaidya's - Hair & Skin Pack. Herbaal nourishes and conditions the hair giving it a shine and softness that only nature can endow. Amla strengthens the hair, Shikakai reduces hairfall, Henna acts as a natural hair conditioner and Tulsi acts as a antimicrobial agents which protects the scalp. 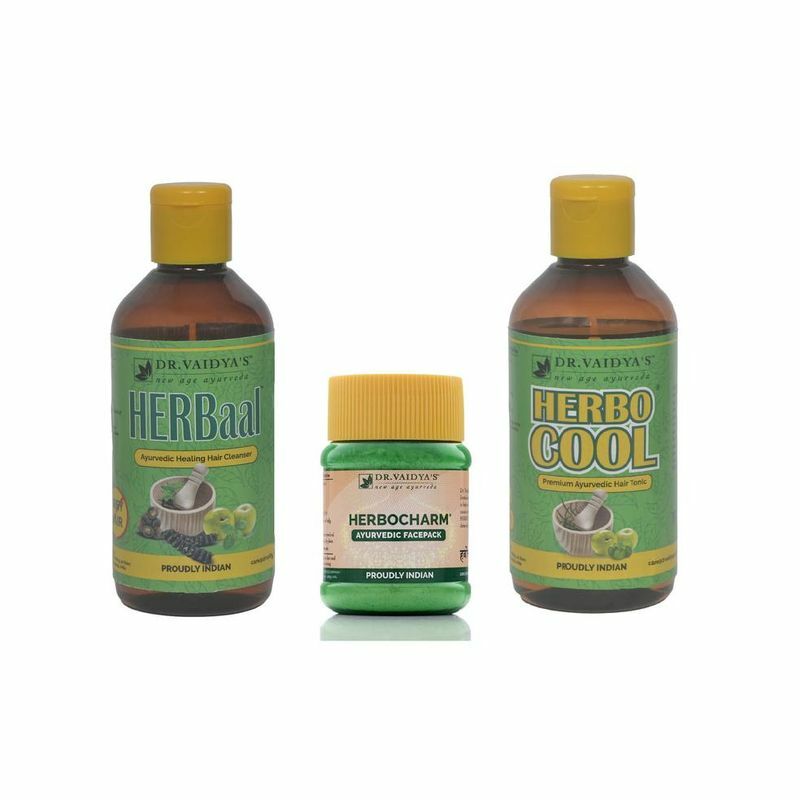 Herbocool is a premium Ayurvedic hair oil with herbal hair toners. Helps with complete nourishment of scalp, protects hair from oxidation, strengthens the hair roots and prevents dandruff and hair greying. Pollution, dirt and excessive heat cause acne, black heads, eczema and other skin ailments. 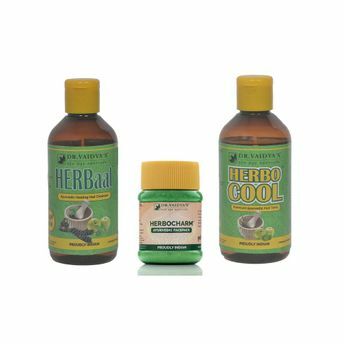 Herbocharm is a face pack that provides relief from these skin ailments.